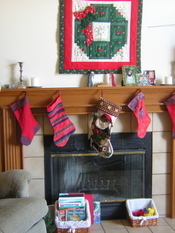 Above our mantle hangs this cute wreath quilt. My MIL made it for us the for our first Christmas after we were married. It's made entirely out of log cabin blocks - which I love. Such a fun idea! 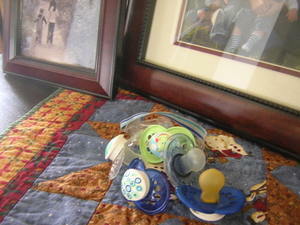 And what would Christmas be without the enchanting Pile O' Paci's, or Paci Shrine! 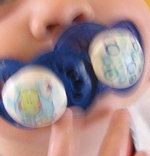 This is where they go ...when they aren't being used -sometimes 2 at a time!